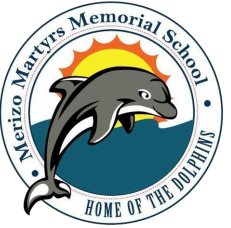 Administration - Welcome to the online home of Merizo Martyrs' Memorial School! Asherdee Duenas Rosete, Ed. D.
Dr. Asherdee Duenas Rosete is currently the principal of Merizo Martyrs' Memorial School (MMMS). 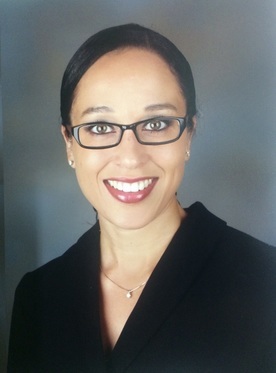 She earned her Doctorate in Educational Leadership in 2014. Dr. Rosete's dissertation focused on special education on Guam titled "Guam Department of Education Administrators' Knowledge of Special Education Law." She earned her Master of Human Relations from the University of Oklahoma - Norman campus in 2002 and her Bachelor of Arts in Early Childhood and Elementary Education from the University of Guam in 1998. She is a product of DOE and a former student at Merizo Martyrs' Memorial School. Prior to her assignment at MMMS, she was an assistant principal at John F. Kennedy High School and Marcial A. Sablan Elementary School. During her eighteen year tenure in the Department of Education, she has taught 1st and 2nd grade at Agana Heights Elementary School and Carlos L. Taitano Elementary School. She has also served as a Special Education Early Intervention Service Coordinator and Autism Consulting Resource Teacher for the Department of Education. She is certified as a Master School Administrator and Master Educator: Elementary K-5 and Early Childhood Pre-K-2 with the Guahan Commission for Education Certification. During her spare time, she enjoys reading, crafting, and sewing and tries to create something new everyday.